The following article by Vince Denault PhD student, Lecturer (Comm. ), Co-Director of CESCNOV Department of Communication (UdeM) Université de Montréal Canada was first published on LinkedIn on the 4th January 2018 and is reprinted in full with the permission of the author. It articulates with clarity and depth the issues surrounding nonverbal communication and in particular separates the facts from the “pseudo science”. However, while the subject has drawn attention for thousands of years, the interest that could be described as scientific goes back to the nineteenth century, notably to the work of Guillaume Duchenne de Boulogne and the English naturalist Charles Darwin. Duchenne de Boulogne, a French neurologist, studied extensively the muscles of the human face and published Mécanisme de la physionomie humaine [The mechanism of human physiognomy] (1862) that Darwin used and cited a few years later in The Expression of Emotions in Man and Animals (1872). While Darwin’s work offered breakthrough ideas on the universality of facial expressions of emotions, research on the subject remained scarce until the work of Silvan Tomkins and Paul Ekman who furthered Darwin’s ideas. Since then, a worldwide community of researchers from different disciplines study extensively various features of nonverbal communication, and the result of their work is peer-reviewed and published in scientific journals. Unfortunately, although thousands of peer-reviewed publications provide very important insights on the impact of nonverbal communication in social interactions, the general public as well as professionals whose work require sorting the truth from the lies are exposed to a plethora of false beliefs, stereotypes, and pseudoscientific techniques to “read” nonverbal behaviours. While these “alternative facts” related to nonverbal communication might seem harmless at first, they can cause very real problems, notably in the search for the truth of Certified Fraud Examiners (hereafter “CFEs”). Therefore, this article aims to offer analytical tools to identify false beliefs, stereotypes, and pseudoscientific techniques in order for CFEs to make informed choices when trying to develop better evidence-based practices. Deception detection: What if what you see is not what it is? Perhaps one of the areas of research where a plethora of false beliefs, stereotypes, and pseudoscientific techniques related to nonverbal communication is disseminated is in the detection of deception, that is the detection of “a successful or unsuccessful deliberate attempt, without forewarning, to create in another a belief which the communicator considers to be untrue” (Vrij, 2008, p. 15). For example, specific gestures and facial expressions are promoted by so-called body language experts as signs that someone is lying. Others argue that no firm conclusion should be drawn from one gesture or one facial expression, but that combinations of nonverbal behaviours might be signs that someone is lying (Denault & Jupe, 2017). However, even if it mirrors the prudence of advocates of science, this word of caution is of no value if the specific gesture or facial expression, or the combination of nonverbal behaviours, associated to deception is not reflected in peer-reviewed publications, but is rather the result of flawed observations or experiments supposedly carried out by so-called body language experts. Meta-analyses summarising the findings of over more than 100 separate research studies conclude that nonverbal cues to deceit, particularly those promoted in interrogation training manuals (e.g., gaze aversion, shifting position, and fidgeting) are faint and unreliable. (p. 13). Unlike certain facial expressions, there are few, if any, body movements that have invariant meaning within or across cultures. Some hand and head actions (e.g., shrugging, various insulting hand movements, head nodding) can be interpreted in a language-like fashion by individuals within a culture, and between cultures who are knowledgeable about each other’s nonverbal behaviours, but even within a culture, body movements do not carry the same meaning each and every time they are displayed. (Harrigan, 2005, p. 139). Thus, while there are limitations to those numbers (Levine, 2017; Vrij & Granhag, 2012), as in any kind of scientific knowledge (Larivée, 2014; Lilienfeld & Landfield, 2008), such a finding should not be taken lightly. In fact, not only is it a reminder that sorting the truth from lies can be a very difficult endeavour, but it is also, and most importantly, a call to engage in critical thinking towards claims by so-called body language experts about the efficiency of their pseudoscientific techniques, more so considering that training scrutinised by science produced only small to medium improvements in deception detection accuracy (Hauch, Sporer, Michael, & Meissner, 2014). In other words, methods or approaches that, according to their proponents, significantly enhance deception detection accuracy should be met with severe skepticism. Moreover, if those methods or approaches are not supported by substantial evidence, or if those methods or approaches attribute unfounded meanings to nonverbal behaviours, their ineffectiveness may be an issue far less problematic than their potential disastrous impact when CFEs debate with colleagues, meet with new clients and interview suspects. Amongst the numerous dire consequences of false beliefs, stereotypes and pseudoscientific techniques, it is worth noting the possibility of severely distorting the CFEs’ search for the truth through misguided credibility assessments. Credibility is the characteristic subjectively attributed to others that makes them believable and convincing (Köhnken, 1989; Doyon, 1999; Brodsky & Pivovarova, 2016). Thus, when debating with colleagues, meeting with new clients, and interviewing suspects, the CFEs attribution of credibility to colleagues, clients and suspects, or the lack thereof, will influence the weight given to the statements and opinions of the colleagues, clients and suspects. Thus, when trying to understand others, and to be understood, and to discern whether someone is telling the truth or not, these alternative facts related to nonverbal communication can cause very real problems, notably in the CFEs’ search for the truth, more so considering their effects can be unconscious (Porter & ten Brinke, 2009). Thinking that someone is lying when, in fact, he or she is telling the truth, can seriously undermine CFEs’ investigations. While knowing the state of science about nonverbal communication and the detection of deception is a first step to identify false beliefs, stereotypes, and pseudoscientific techniques, pseudoscientific arguments should also get CFEs to consider what so-called body language experts are promoting. Pseudosciences are combinations of notions that, from the outside, bear a resemblance to science but, from the inside, deflect from the characteristics of science. While some can be easily identified, other pseudo-scientific arguments related to nonverbal communication can be particularly convincing for those who do not fully know and understand the characteristics of pseudosciences, including the lack of peer review, the absence of connectivity, the faulty methodologies, and the extraordinary claims without extraordinary evidence (Larivée, 2014; Lilienfeld & Landfield, 2008). Essentially, after research is conducted by researchers, a manuscript of the research thoroughly explaining the process leading to results is submitted to a scientific journal where it is reviewed by other researchers who possess knowledge about the subject of the manuscript. The peer-review process is generally blind. The authors of the manuscripts do not know who the reviewers are, and the reviewers do not know who the authors are. The editor of the scientific journal is the only one to know the identity of the authors and the reviewers. Following the review, the manuscript can be (i) accepted for publication as it is or with minor modifications, (ii) rejected, or (iii) the authors can be invited to make major modifications and resubmit the manuscript, in which case the peer-review process starts again from the beginning. Therefore, when a manuscript is published in a scientific journal and becomes what is known as a scientific paper, it has been subjected to an initial assessment by researchers who possess the adequate knowledge to do so. On the contrary, pseudosciences are generally not peer-reviewed and published in scientific journals. In other words, pseudosciences regarding nonverbal communication and the detection of deception are secretly developed between their proponents, in isolation from the extensive literature about nonverbal communication and the detection of deception, thus the absence of connectivity. Whereas science is a cumulative process of approvals, criticisms, and corrections to limit the impact of biases and errors in trying to understand various phenomena, proponents of pseudosciences typically try to prevent criticisms in any way possible (Larivée, 2014; Lilienfeld & Landfield, 2008). For example, the process leading to “pseudo scientific results” is typically secretive and not available for public approval, criticism, or correction. Such a process can sometimes only be available to proponents of the pseudoscience at the highest level of the hierarchy or members of the general public willing to pay. “Unfortunately, such an availability is only relevant if the proponents and the members of the general public possess analytical tools to identify the fallacies and the will to accept they were intellectually and financially misled, and even maybe that they intellectually and financially misled others. Ultimately, if the pseudoscience is challenged, their proponents can associate critics to conspirators and reply with ad hominem attacks” (Denault, 2017; Loftus, 2016; Mann, 2016). However, even without peer-reviewed publications, the process leading to results can sometimes partially be known and the faulty methodology, another characteristic of pseudosciences, can be revealed. For example, proponents of synergology, a pseudoscience where different meanings or interpretations lacking any form of peer-review are attributed to nonverbal behaviours (Denault, 2015; Denault, Larivée, Plouffe & Plusquellec, 2015; Denault & Jupe, 2017; Lardellier, 2008; 2017), assert they “accumulated and compared thousands of television clips where people perform similar gestures in order to identify links between them” (Denault & Jupe, 2017, p. 2). While the assertion that thousands of television clips were accumulated and compared may look particularly impressive, the fact that the methodology of the accumulation and comparison is unknown because of a lack of peer-reviewed publications (Denault, 2015; Denault, Larivée, Plouffe & Plusquellec, 2015) makes such an assertion worthless. “Science is built up of facts, as a house is built up of stones; but an accumulation of facts is no more science than a heap of stones is a house” [our translation] (Poincaré, 1917, p. 168). While methods or approaches that claim scientific legitimacy but show a lack of peer review and an absence of connectivity and a faulty methodology should raise serious ethical and professional concerns, it is worth noting that such shortcomings will not stop their proponents from promoting extraordinary claims without extraordinary evidence. Their extraordinary claims will rather be promoted using sophisms and logical fallacies such as calls to authority and to tradition (Denault & Jupe, 2017; Larivée, 2014; Lilienfeld & Landfield, 2008). However, the use of a method or an approach by famous professionals or organizations (i.e., call to authority) is not a demonstration of the scientific value of the method or the approach, nor is the fact that a method or an approach has been used for a long time (i.e., call to tradition). The use of torture by the CIA, for example, is not evidence that torture works, nor is the fact that torture has been used for thousands of years. In fact, information elicited by torture is typically unreliable (Vrij, Meissner, Fisher, Kassin & Kleinman, 2017). Debunking pseudoscientific arguments related to nonverbal communication is more time consuming than what is required to produce them. However, because of their adverse effects when trying to understand others, and to be understood, and to discern whether someone is telling the truth or not, it is of the utmost importance for CFEs to possess analytical tools to identify the fallacies. In other words, for professionals whose work requires sorting the truth from lies, knowing the state of science about nonverbal communication and the detection of deception as well as the characteristics of pseudosciences and the sophisms and logical fallacies used to promote false beliefs, stereotypes, and pseudoscientific techniques are key to making informed choices when trying to develop better evidence-based practices. Otherwise, even without an iota of bad faith, CFEs might think they are presented state of the arts methods or approaches when in fact, their value is similar to that of methods and approaches used during the Middle Ages’ trials by ordeal. However, while resorting to false beliefs, stereotypes and pseudoscientific techniques should not go unnoticed; it is worth noting that the emphasis on scientific knowledge advocated in this article should not be done at the expense of experiential knowledge crucial to real-life decision making under uncertainty (Shön, 1991; Lowman, 2012; Lilienfeld, Ritschel, Lynn, Cautin, & Latzman, 2013). In fact, experiential knowledge and scientific knowledge are not in competition; they complement each other because they each have their strengths and weaknesses. However, when thousands of peer-reviewed publications provide very important insights on various phenomena such as nonverbal communication, ignoring science in favour of false beliefs, stereotypes, and pseudoscientific techniques (or experiential knowledge) is an impediment to the development of better evidence-based practices. 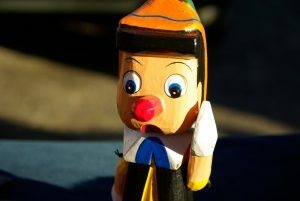 Finally, while this article offered a critical appraisal of false beliefs, stereotypes, and pseudoscientific techniques to “read” nonverbal behaviours, one should keep in mind that there is usually no reason to question the good faith of their proponents who likely believe they can really help professionals whose work requires sorting the truth from lies. Unfortunately, even with all the ambition and good will in the world, if what they promote is not supported by substantial evidence, it should be ignored by CFEs. Ambition and good will are not synonyms of good practice. The author would like to thank Louise Jupe for her constructive comments on an earlier version of this article. This article is a slightly modified version of a conference paper presented at the 2017 ACFE Fraud Conference Canada. Bond, C. F., & DePaulo B. M. (2008). Individual differences in judging deception: Accuracy and bias. Psychological Bulletin, 134, 477-492. Brodsky, S. L., & Pivovarova, E. (2016). The credibility of witnesses. In C. Willis-Esqueda & B. H. Bornstein (Eds. ), The witness stand and Lawrence S. Wrightsman, Jr. (pp. 41-52). New York: Springer Science+Business Media. Buller, D., & Burgoon, J. K. (1996). Interpersonal deception theory. Communication Theory, 6(3), 203-242. Burgoon, J. K., Guerrero, L. K., & Floyd, K. (2010). Nonverbal Communication. Boston: Pearson. Deeming, D. (2016). Do extraordinary claims require extraordinary evidence? Philosophia, 44(4), 1319-1331. Denault, V. (2015). Communication non verbale et crédibilité des témoins [Nonverbal communication and witnesses’ credibility]. Cowansville: Yvon Blais. Denault, V. (2017, March). L’attaque ad hominem comme stratégie de réponse aux critiques. Une autoethnographie de la dénonciation d’une pseudoscience. [Ad hominem attack as a strategy to answer criticisms. An autoethnography of the denunciation of a pseudoscience]. Paper presented at Colloque Divers’COM, Montréal, Canada. Denault, V., & Dunbar, N. (in press). Nonverbal communication in courtrooms: Scientific assessments or modern trials by ordeals? The Advocates’ Quarterly. Denault, V., & Jupe, L. (2017). Justice at risk! An evaluation of a pseudoscientific analysis of a witness’ nonverbal behavior in the courtroom. Journal of Forensic Psychiatry & Psychology. Advance online publication. Denault, V., Larivée, S., Plouffe, D., & Plusquellec, P. (2015). La synergologie, une lecture pseudoscientifique du langage corporel [Synergology, a pseudoscientific reading of body language]. Revue de psychoéducation, 44, 425–455. Doyon, F. (1999). L’évaluation de la crédibilité des témoins [The credibility assessment of witnesses]. Revue canadienne de droit pénal, 4, 331-343. Duchenne de Boulogne, G. (1862). Mécanisme de la physionomie humaine. Jules Renouard: Paris. Harrigan, J. A. (2005). Proxemics, kinesics, and gaze. In J. A. Harrigan, R. Rosenthal & K. R. Scherer (Eds.). The new handbook on methods in nonverbal behavior research (pp. 137-198). Oxford: Oxford University Press. Hauch, V., Sporer, S. L., Michael, S. W., & Meissner, C. A. (2014). Does training improve detection of deception? A meta-analysis. Communication Research, 43(3), 283-343. Knapp, M. L., & Hall, J. A. (2013). Nonverbal Communication in Human Interaction. Boston: Wadsworth. Köhnken, G. (1989). Behavioral correlates of statement credibility: Theories, paradigms, and results. In H. Wegener, F. Lösel, & J. Haisch (Eds. ), Criminal behavior and the justice system: Psychological perspectives (pp. 271-289). New York: Springer-Verlag. Lardellier, P. (2008). Pour en finir avec la ‘synergologie’ : Une analyse critique d’une pseudoscience du ‘décodage du non-verbal’ [To put an end to ‘synergology’ : A critical analysis of a pseudoscience to ‘decode non-verbal’]. Communication, 26, 197-223. Lardellier, P. (2017). Enquête sur le business de la communication non verbale : Une analyse critique des pseudosciences du ‘langage corporel’ [Investigation on the business of nonverbal communication : A critical analysis of ‘body language’ pseudosciences]. Cormelles-le-Royal: Éditions Management & Société. Larivée, S. (2014). Quand le paranormal manipule la science [When the paranormal manipulates the science]. Montréal: Multimondes. Levine, T. (2017, August). Ecological validity in deception detection research design. Paper presented at Decepticon, Palo Alto, California. Levine, T. R., Serota, K. B., & Shulman, H. C. (2010). The impact of Lie to Me on viewers’ actual ability to detect deception. Communication Research, 37(6), 847-856. Lilienfeld, S. O., & Landfield, K. (2008). Science and pseudoscience in law enforcement: A user-friendly primer. Criminal Justice and Behavior, 35, 1215-1230. Lilienfeld, S. O., Ritschel, L. A., Lynn, S. J., Cautin, R. L., & Latzman, R. D. (2013). Why many clinical psychologists are resistant to evidence based practice: Root causes and constructive remedies. Clinical Psychology Review, 33(7), 883-900. Lowman, R. L. (2012). The scientist-practitioners consulting psychologist. Consulting Psychology Journal: Practice and Research, 64(3), 151-156. Patterson, M. L. (1995). A parallel process model of nonverbal communication. Journal of Nonverbal Behavior, 19(1), 3-29. Poincaré, H. (1917). La science et les hypothèses [The science and the hypothesis]. Paris: Flammarion. Porter, S., & ten Brinke, L. (2009). Dangerous decisions: A theoretical framework for understanding how judges assess credibility in the courtroom. Legal and Criminological Psychology, 14(1), 119-134. Shön, D. A. (1991). The reflective practitioner: How professionals think in action. London: Avebury. Troville, P. V. (1939). History of lie detection. Journal of Criminal Law and Criminology, 29(6), 848-881. Vrij, A. (2008). Detecting Lies and Deceit. Chichester: Wiley. Vrij, A., & Granhag, P. A. (2102). Eliciting cues to deception and truth: What matters are the questions asked. Journal of Applied Research in Memory and Cognition, 1(2), 110-117. Vrij, A., Meissner, C. A., Fisher, R. P., Kassin, S. M., Morgan, C. A., & Kleinman, S. M. (2017). Psychological perspectives on interrogation. Perspectives on Psychological Science. Advance online publication. Wise, T. A. (1845). Commentary on the Hindu system of medicine. Bengal Medical Service: Calcutta”.